Similar Course: Solidworks Advanced Modeling, Manufacturing Week long Intensive, Plastics Part Design, Die Cast Part Design, Mold Design for Plastic Injection. Overview: Engineering is in high demand in the United States and the World, this SolidWorks course makes it easier for you to get a job in this field. If you are unemployed and cannot afford the tuition we can set up a payment plan. Please call 312.226.8339 for more details. To perform in any engineering, mechanical design, or design engineer position around the world a candidate must be able to operate SolidWorks at a level above the competition to be seriously considered for a position. Our four-week programs are designed to give you the skills and confidence you need to secure a job and perform your best. 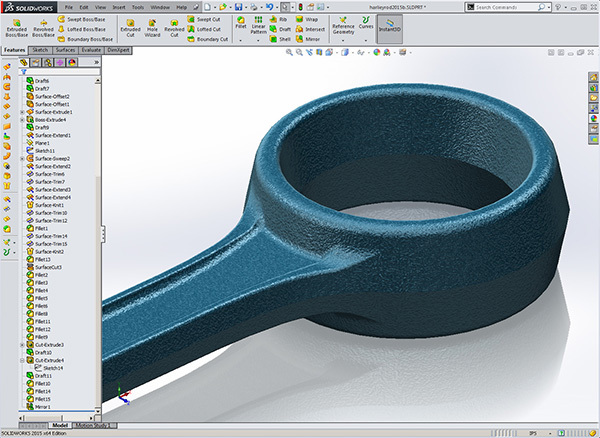 Often times after the first week or so is accomplished, participants will want to focus their efforts on surfacing with respect to plastics, sheet metal, or FEA. We strongly encourage a specialty in order for your resume to stand out from others. Just like the rest of Design Engine’s courses, you are able to customize the class and what you want it to be about. 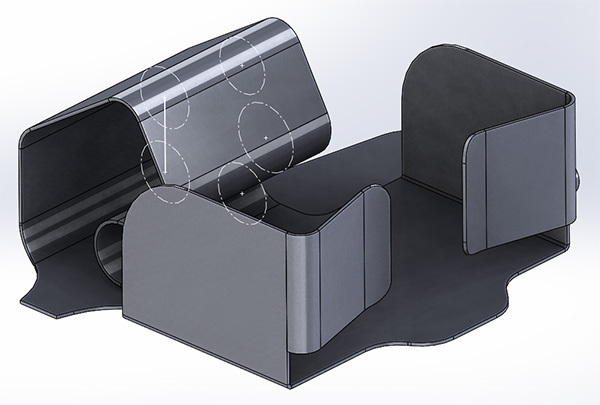 For example, many designers want to focus their training on seating while engineers may want to focus their training on die-cast aluminum engine parts. Class size stays below 6 students (averaging around 3). Week Two: Obtain detail drawings, large assembly management, and some advanced part design skills in this one-week intensive. Might also cover the basics of sheet metal. Week Three: Obtain manufacturing skills in plastic part design, die casting, forging, and sheet metal all in this one-week intensive. Participant projects are often customized to suit individual participant needs and are primarily used to obtain employment by showing competency and that you have used and understand the software on something other than school assignments. Introduction to constraint based modeling, assembly, detailing & making changes utilizing the latest release of SolidWorks. This SolidWorks training course is developed for new users who want to become proficient learning SolidWorks in just four weeks. We help you learn SolidWorks, not read to you from a book or exercise. In this course we help design engineers learn how to make changes quickly to set them up for becoming expert faster. As with all Design-Engine classes, participants keep the training material login and password for life. Do consider Design-Engine to further your job search and dream job opportunities. Our training staff is made up of industrial designers and mechanical engineers who have extensive real-life work experience. We teach you how to design parts and assemblies and often leave the last or even a fifth week to develop a project that can be used to gain employment. With our four-week classes or the Season Ticket holders (two years of training for one cost) we make the Design-Engine database available to participants to assist the search for that dream job/contracts. Many past participants over the last 20 years do not mind getting a gentle email or a phone call from persons such as yourself interested in contract/ permanent employment. The practical, proven surfacing methods, robust modeling techniques, coupled with the comprehensive participant network, is how Design-Engine differentiates from Value Added Resellers (VAR’s) or community college oriented training. By the way surfacing is probably the best skill for the non degree’d folks to differentiate themselves from peers at their job, earn higher pay, obtain a new job, start a consulting business or simply go contracting. This course is an intensive four-week comprehensive and more that simply an introduction to constraint based modeling, assembly, detailing & making changes utilizing the latest release of SolidWorks. This SolidWorks training course is developed for new users who want to become proficient learning SolidWorks in a four week program. 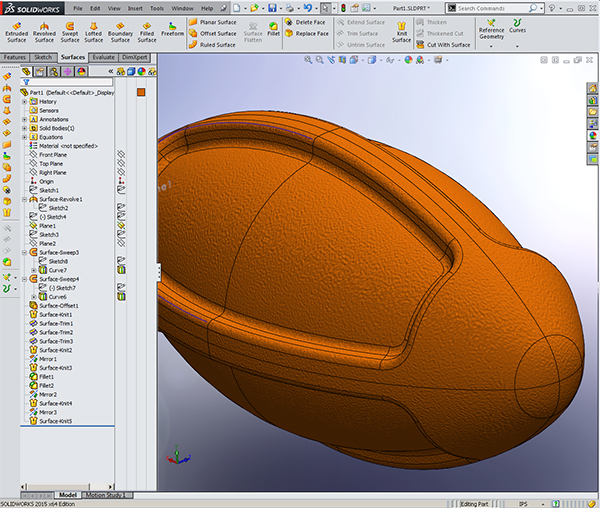 We help you learn SolidWorks, not read to you from a book or an exercise. In this course we help designers, drafters, or design engineers learn how to make changes quickly to set them up for becoming experts faster. As with all Design-Engine classes, participants keep the training material login and password for life.